Recently a real estate agent achieved internet fame by advertising his properties with a sign that read, “NOT HAUNTED.” At least he did until some humorless neighbors objected, whereupon he changed the sign to “Gluten-free Home.” Given the fact that few people sweep behind their refrigerators, I think he’s skirting a fine line about false advertising and–“not haunted”–how does he prove a negative? I’m thinking this has the makings of a classic horror movie: a young couple–he a skeptic, she a sensitive polt vector–sold a charming house with the understanding that it was certified not to be haunted, only to find…. I have read about agents who specifically want to handle haunted or even stigmatized properties. But this is not a new idea. 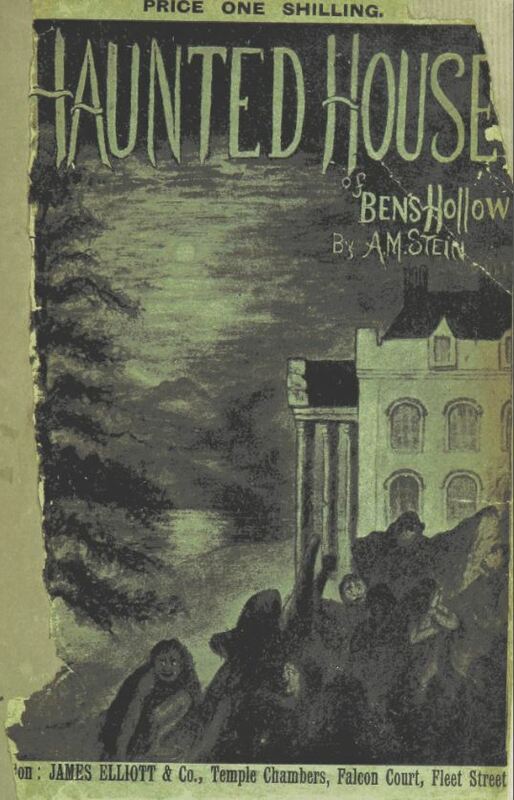 A Contemporary, in the course of a recent notice of Mr. J. H. Ingram’s new and entertaining Volume on the subject of the “Haunted Houses” of Great Britain, having expressed its conviction that, owing to the prevailing taste for mysticism, this formerly ineligible class of property was now positively coming to be sought for and in much request, the Society for Psychical Research has, as might have been anticipated, lost no time in meeting a public demand in a congenial spirit, and have at once opened a temporary Agency at their central offices. Subjoined is a specimen of their Preliminary “List” for the ensuing month. MESSRS. EDMUND GURNEY & CO., Haunted House and Estate Agents, respectfully beg to offer to the notice of their various Clients the following desirable Properties, selected from many others at present standing on their books for disposal. A CHARMING BIJOU VILLA RESIDENCE, most tastefully decorated and haunted throughout, To Be Let immediately. Newest style of Queen Anne furniture, with exquisitely finished Library and Boudoir to match, in which precisely at a quarter to nine every evening, a little man in the dress of the last century, wearing a blue velvet coat and bag-wig, and with a troubled expression of countenance, holding his head under his arm, appears, and says, in a melancholy voice, “I wish I hadn’t forgot it,” and then seems to disappear up the chimney. Further particulars on application. (20,191). Despite the somewhat labored humor, I find the cliches of Victorian ghost stories, as found in The Canterville Ghost and the work of John Kendrick Bangs to be hilarious. Mrs Daffodil shared a satirical piece about Americans who wanted to spend their Christmases ghost hunting in England called The Spook Syndicate. Details and keys to Chriswoodyard8 AT gmail.com who lives in an UN-haunted house.